Just two weeks after promising signs of life from creative studio GSC Game World, it looks like post-nuclear horror FPS S.T.A.L.K.E.R. 2 is dead for good this time. But that doesn't mean that fans of GSC's creepy Eastern Bloc survival shooting won't have anything to play. In a series of Facebook posts unveiling, former members of GSC announced the formation of new studio Vostok Games and revealed art from new title Survarium. They also divulged that S.T.A.L.K.E.R. 2 is essentially cancelled as an agreement with the S.T.A.L.K.E.R. rights holders couldn't be reached. 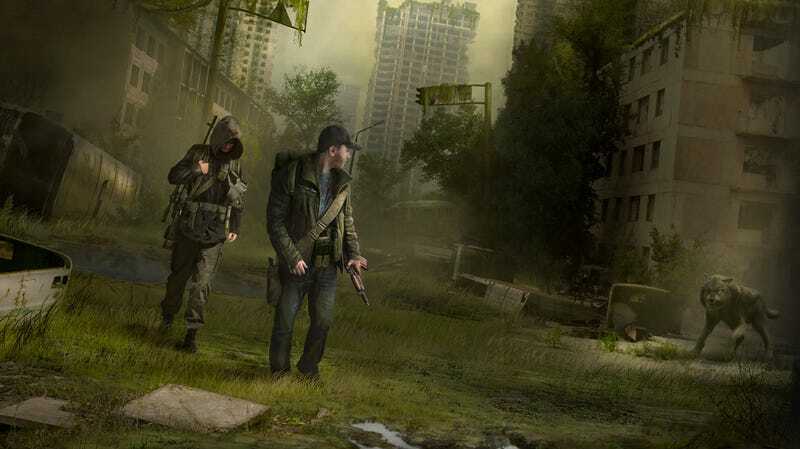 Survarium is described as a massively multiplayer, free-to-play first-person shooter, which happens in a post-apocalyptic universe where nature is reclaiming urban centers. And you should really watch the diary video above, which talks about the tensions the team faced and shows off quick glimpses of the game in development.